The Forklift Stabilising Magnets are Electromagnetic. 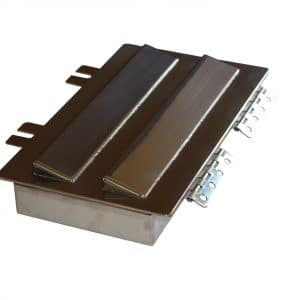 This enables the operator to switch the magnets on and off dependant on whether ferrous loads are being carried or deposited. 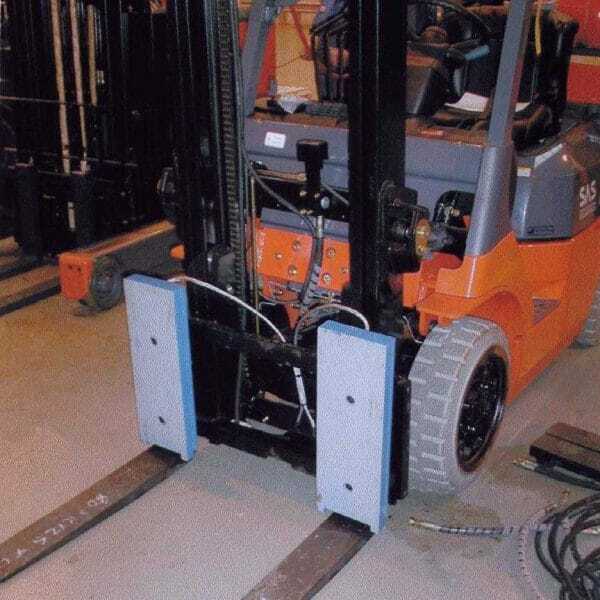 Master Magnets Ltd can now provide custom built forklift Stabilising Magnets. 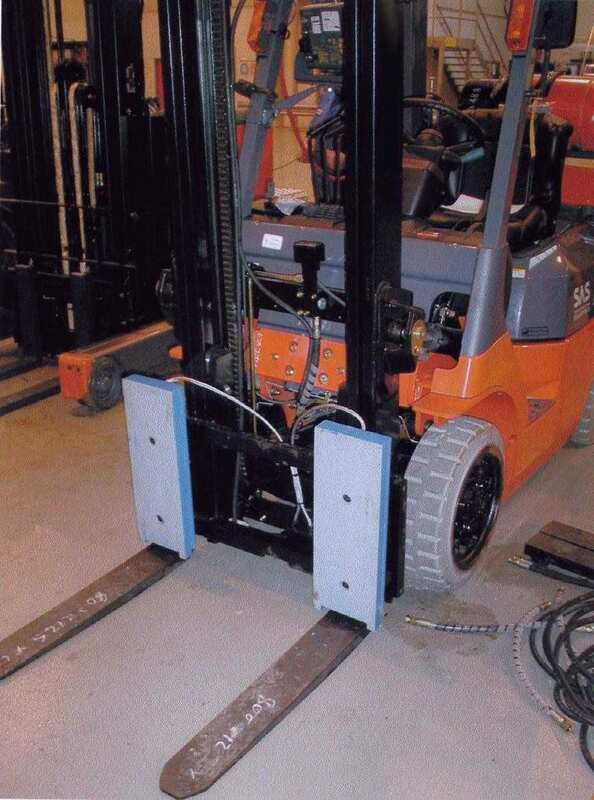 The magnets are designed to retain steel loads, holding them against the forks during lifting or transportation. In line with current health and safety regulations these magnets make a safer working environment avoiding accidents caused by loads falling off a forklift truck during operation. They also facilitate safe handling of wet or oil covered loads. • Ideal for factories and warehouses for picking up ferrous materials that are either wet or covered in oil. • Outdoor lifting and transportation, where rain and adverse weather conditions can cause handling difficulties. 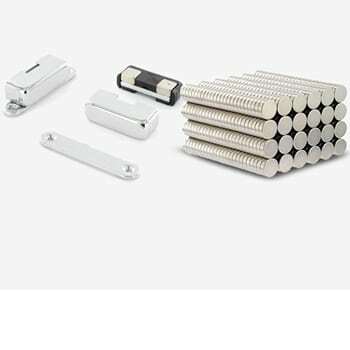 There are two different types of stabilising magnets available. Master Magnets can supply a load stablising magnet, which is designed for use on either diesel or electric powered forklift trucks.